Here is a PPT HR dashboard template available to download. 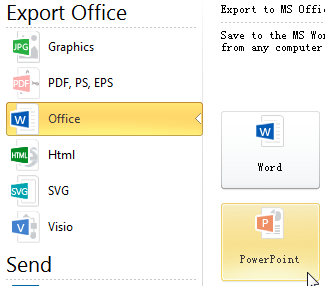 Through Edraw you can edit the dashboard and export to powerpoint file with just one click. This is an editable HR dashboard template that you can apply to different business scenarios. It uses pie chart, column chart, bar chart, spider chart and some clip arts to present HR data. You can download the PPTX format or EDDX format by clicking on the links below. EDDX format is editable and can be transfered to PPT format with just one click. Sometimes the template may need some minor tweaks to better suit your current purposes. You can download the eddx format and edit with Edraw. Besides the chart on this template, you can find more chart templates in Edraw. 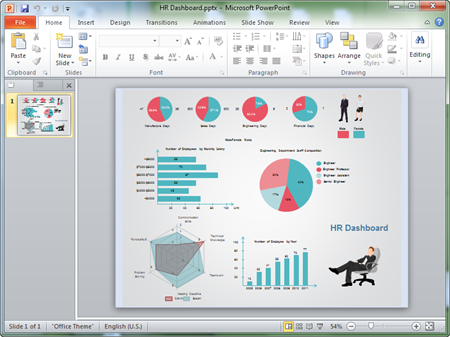 When finish, you can easily export the HR dashboard to PPT format. 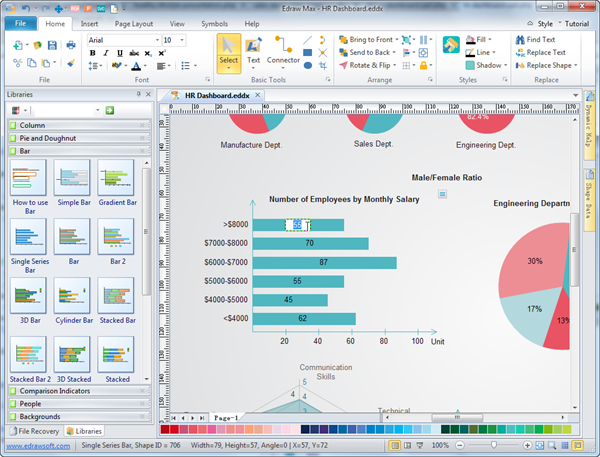 Edraw dashboard maker is capable in creating various charts, including column chart, bar chart, pie chart, gauges chart, comparison chart, doughnut chart, spider chart, line chart and area chart. Based on the dragging and dropping ability, creating dashboard is as easy as pie.